Mr. O’Rourke denied that he described police officers that way. On Wednesday, at a town hall event at Prairie View A&M University, a historically black college in Prairie View, Tex., Mr. O’Rourke had complained about racism within the criminal justice system, including racial profiling and unjust police shootings of people of color. What do you think? Do you agree with Ted that the vast majority of police officers are brave, honorable men and women who risk their lives to keep us safe? 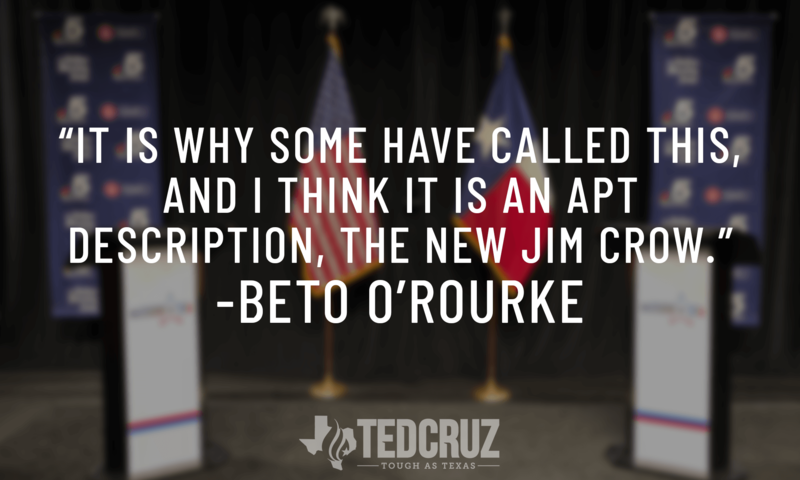 Or do you agree with Beto that they’re “the new Jim Crow”? Do you think it’s ok for Beto to smear police officers as racists, claiming they search and shoot people “solely based on the color of their skin”? Or is that kind of hateful rhetoric harmful and deeply divisive?